Imagine yourself surrounded by stunning floral decorations as you and your spouse celebrate your long-awaited matrimony. Dreamy, isn’t it? Whether you’re thinking of a garden or church as your wedding venue, here are the best wedding florists arranged by state who can supply flowers for your design ideas. 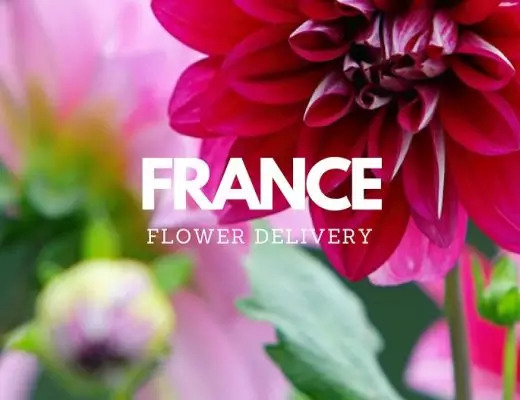 This high-quality cooperative cultivates over 40 varieties of peonies under Alaska’s midnight sun to bring fabulous flowers with FedEx overnight shipping for your weddings. Note that each stem is hand-picked and packed with care sot hey will always arrive in tip-top shape. Located in Cortez Drive, Sedona Fine Art of Flowers offers a diverse range of floral styling for weddings from traditional to trendy. One of their offerings showcase the high desert floral design or style popular with the current trends in Sedona. A $125 fee that applies to your flower invoice will reserve your date with Sedona Fine Art of Flowers and give you a comprehensive flower proposal. 800 Rosebig is Newport Beach’s largest florist, supplying flowers for over 1,000 brides in 2018 alone. Located in Orange County, California, the shop offers a colossal catalog of flower arrangements, including wedding packages that are offered for half the price. Mocha Rose’ full service wedding designs start at $5,000 before tax the wedding venue is within one hour of Pittsburgh. If the event is beyond this location, the minimum starts at $6,500 before tax. However, the final cost can still change depending on the size of your venue, the types of flowers you prefer, and the overall theme of your wedding. Vaso Bello Celebrations are experts in haute floral design and event decor for luxury weddings and private gatherings. Their salon is located in the uptown design district of Palm Springs. Their salon is available by appointment, but the good news is that Vaso Bello’s consultations are always free. Combining the German words for Dream (Traume) and Flowers (Blumen), Trablume brings out the natural harmony of different flower varieties through astonishing wedding flower designs. Melissa Owen, Trablume’s chief designer and owner, has been creating floral designs since she was 16, and her floristry business has grown to earn accolades from magazines and award-giving bodies. A picture-perfect wedding can be a reality with Carrie Wilcox’s lovely flower arrangements for weddings other special occasions. Based in Fairfield County, Carrie Wilcox Floral Design services wedding clients in New York City, The Hudson Valley, Westchester County, Coastal Connecticut, Massachusetts and beyond. Ladybug Designs offers full service wedding packages, including personal effects, ceremony floral, reception floral delivery and setup. It is recommended that you book in advance (at least 6 months before your wedding) so Ladybug Designs can reserve your consultations. The shop also offers full service delivery of wedding items to Connecticut and Rhode Island at $2000 minimum. Aside from being a retail florist, Bella Florals by Theresa like to take weddings up a notch with extravagant and whimsical floral decorations. Months before your wedding, Theresa will set a one-on-one meeting to discuss your wedding ideas. Once you have clarified your favorite flowers and colors, Theresa will outline suggestions and start preparing a plan based on your vision. The Flower Basket Florist can design and deliver flower arrangements for weddings within the Tavares area. They’re open from Monday to Saturday, and you can fill out their online consultation form to schedule your meeting. Name the theme – Romance, Whimsey, Luxury, Vintage, Tropical – and Asa Flowers can do it all for your ceremony and reception. 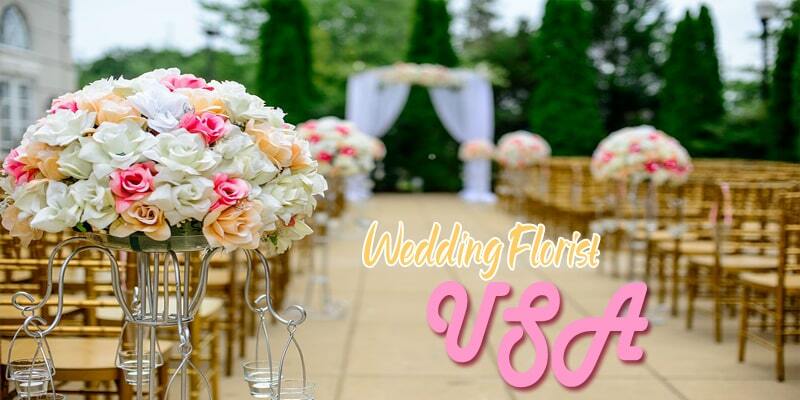 Their full decoration service includes Bouquets, Boutonnieres, Centerpieces, Floral Canopies and Arbors, Petal Aisles and Floral Seating Designs. Here’s a design studio that “plans with a passion:” Elishia and her team are dedicated to decorate each wedding with “passion and professionalism.” Some of the their services that can be helpful to your special day include Full Service Planning, Corporate Event Planning, Custom Floral Design, Stylized Shoots, and Venue Management. Emmi Bergmann is grower and certified floral designer of the Rolling Ridge Farm who can assist you with your floral design requests for your wedding. 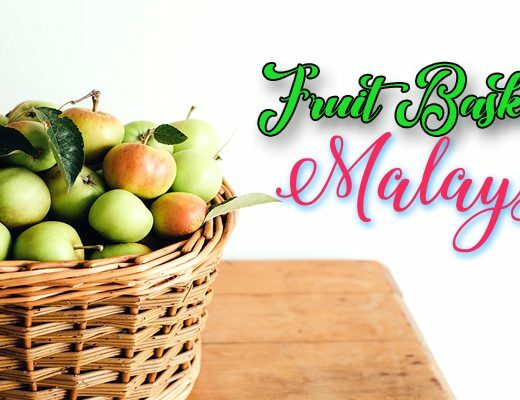 They offer fresh, local, and homegrown flowers for all occasions and provide a discounted delivery fee to local areas including Laytonsville, Olney, Gaithersburg, Rockville, Bethesda, North Potomac, Poolesville, Germantown, and Damascus. The Stables of Rolling Ridge is about 45 minutes from both Washington DC and Baltimore, MD. At Flowers by Hoboken, they want to help you make your wedding day beautiful, making it a visual experience like no other. Their creativity and attention to detail make all the difference. Their range of wedding services include exquisite bridal bouquets, bridal party flowers,  beautiful floral arrangements, interior and exterior decoration and setup of ceremony and reception areas. They will take your vision and bring it to life. Both a boutique backyard flower farm and floral design studio, Dandelion House is located in southern Massachusetts, where they design and supply decorations for garden-inspired weddings, events and workshops on the South Shore and Cape Cod. Their works have received high reviews from satisfied couple and they’ve also been featured in The Knot. Aside from designing and supplying bespoke flowers for your special day, Fancy Flowers by Meredith can help you in event planning by connecting you with various wedding service providers such as photography studios and bakeries. The shop can also create floral designs for other areas such as tents, stairways, and doors. A premier Boutique florist in Minneapolis and Saint Pauls, Lilia Flower Boutique is a wedding, event, and flower delivery specialist. Their team is in charge of creating everything from massive wedding floral installations to everyday flower arrangements using the freshest flowers and high quality products. The shop even grows some of their own flowers for special wedding clients. Since 2014, The Flower Girl’s florists have already experienced decorating wedding flowers of varying themes. These include Island Paradise, Victorian Garden Party, Holiday Winter Wonderland, Military Wedding, and Traditional Celtic, just to name a few. Whimsical Wisteria is a freelance floral design business owned by Kylie Naylor which currently serves Pemberton and other nearby areas. Kylie sources her flowers from US growers to support and showcase the beauty of local blooms. April Smith Spencer is a freelance and event designer. As much as possible, April ensures that everything is made to order the day of delivery. A big believer in customizing all pieces and letting the flowers speak for themselves, April offers in-home consultations and different flower arrangements for special events including weddings. Bride and Blossom offer a wide selection of bouquets, ceremony designs, reception centerpieces, cake florals and more that follow patterns and designs inspired by romantic, contemporary, vintage, classic, or sophisticated wedding themes. The shop has an $8,000 minimum requirement for their floral services. Elegant Affairs Inc. are made up of a team of wedding decorators which cater to weddings based in New York City (both the Northeast and Southwest). The award-winning event design and décor company currently has an exhibit of their creations made for South Asian celebrations. Hops Petunia currently services weddings in the Hudson Valley or Catskills region. They’re simply not a wedding florist – Hops Petunie can also want be your partner in helping you learn what’s in season, how to select a color palette, finding the right props, lighting and accessories for your wedding. The shop’s works have been heavily featured in Vogue, Harper’s Bazaar, West Elm, Williams-Sonoma, and People. Mark Rose Flowers and Events is an NYC event design company that specializes in elegant and transformative weddings & celebrations. Believing that “simplicity is the ultimate sophistication,” Mark Rose’s creations have appeared in famous publications such as Town & Country, In Style Weddings, The Knot, Grace Ormond Wedding Style, People Magazine, Elegant Bride, The New York Social Diary, The Washington Post, Hamptons, Quest and Avenue Magazines. If you don’t want to design from scratch, Rachel Cho already has wedding themes that you can choose from! Though the contents of these packages have already been determined as they’ve been used before in other weddings, the shop can adjust their proposal according to your budget and venue. Rebecca works with a broad spectrum of styles for every wedding. An event florist for a wedding couple who’s got an eye for detail, Rebecca’s Silver Rose can add distinctive wraps to their bouquets, individualized touches to the centerpieces you choose, and special accents to every boutonniere and corsage. Who says you have to stick to a single color or a monotonous color palette? Swannanoa Flower Shop’s stylish professionals can create floral decorations that combine vibrant colors with pastel shades, creating an explosion of colors for a lively wedding look. Crooked Roots Design, a renowned floral shop in Claremore, offers three simple wedding packages: For the Day (offered for Crooked Roots Design brides only), For the Month, and For It All. This means you can adjust the shop’s level of involvement when it comes to your wedding coordination. If you opt for For It All, Crooked Roots Design can help you from start to finish including vendor appointments and reviewing contracts. Elie Floral Designs can supply floral arrangements and pieces including bouquets, high centerpieces, low centerpieces, ceremony flowers, bridal flowers, flower cakes, and other wedding decor items that can be customized to your liking. The studio’s dashing designs have earned them the award of being the Best of the Valley in 2018. Creative Ambiance Events always aim to create weddings that mirror what the bride and groom’s desires on their special day. The studio has over 20 years of orchestrating weddings, providing various options such as themed packages or a DIY wedding plan for those who would like their wedding to look like no other with their personal touch. Based in South Carolina, Kate Asire and her team design and supply wild, romantic flowers for weddings and other private celebrations held all over the United States. On their website, there is a “check your date” option where you can already see the availability of the services before you proceed with consultation. They have a $5,000 minimum order for wedding florals, but they can also accommodate smaller orders for other types of events such as parties, showers etc. Based in Austin, Texas, Flora Fetish has been recognized by the American Institute of Floral Design (AIFD) and their team currently holds certifications as an Advanced Master Florist. They offer floral design, event styling, and décor rentals together with their wedding proposals. If you’d like your wedding to be fashioned after the featured season of your special day, get in touch with Morgan Anderson from The Flori Culture today. In a rare feat in floristry, Morgan has earned Master’s degree in Horticulture from Kansas State University and a Ph.D. in Horticulture from Texas A&M University. A smaller minimum is offered at $500 for pick-up orders. For wedding day packages that require full delivery and setup, the minimum price starts at $2,000. All of these orders come with personal flowers, centerpieces, and every decor you’ll need for your wedding. The shop also offers end-of-night removal decor if needed. Pricing for ParkCrest Floral Design is calculated on a per-stem basis. They also have flower-based or themed wedding packages. For their Victorian Garden theme, you can choose from three options: basic, deluxe, and premium packages. The flowers from The Orchid Luxury Flower Design are cut-to-order so they can last longer. This also allows the shop to charge cheaper compared to other florists. Aside from ordering an all-in-one wedding package, the shop can sell individual items such as wedding flowers, bridal bouquets, flower centerpieces, and flower chandeliers. Jenevieve Hubbard is a freelance wedding and events florist. She and her staff currently specialize in locally sourced floral for weddings, events, and botanical styling. The Pear Blossom’s custom wedding flowers are sourced from international and US growers. Emily White and her team specialize in classic flowers paired with foliage and greenery sourced from the native environment to create a uniquely stylish yet organic look and feel. Rachael Ellen heads an international wedding planning, design and floral design firm best known for its romantic and timeless decoration style. Their works have been featured in the pages of global publications such as Martha Stewart Weddings, Harpers Bazzar and Vogue. Rachael and her team have designed and executed hundreds of weddings from California to New England, the Caribbean to France. A floral, photography, and jewelry studio, Chawna Cota is skilled in capturing and realizing the look of your wedding dream. The studio can cater to any theme possible – whether you are looking for a sophisticated, classic, rustic, or a unique look for your special day. Surround yourself and your spouse with fresh American flowers on your special day, made possible by HB Fiori. The floral studio’s wedding services include Ceremony, Centerpiece, Bridal bouquets, Boutonnieres, Corsages, Head wreath and more depending on your request. I Do Weddings With Love is a highly rated florist that provides bouquets, corsages, boutonnieres, centerpieces, tablescaping, and item rentals. They offer consultations and then create a mock rough draft which can include logistics such as pricing and timelines. The team will also take care of delivery, setting up, and breaking down. Other services include event design, venue visit, flower girl baskets, and artificial flowers. Elegance and Simplicity is a wedding design house whose signature is creating innovative and elegant weddings. They are composed of a diverse team of professionals who are skilled in different components of wedding planning and design. Elegance and Simplicity is the only wedding & event designers in the greater Washington, DC and Baltimore areas with a team of wedding planners, floral designers, graphic artists, calligraphers, lighting specialists, and design carpenters in-house for bespoke wedding design. Located in Greenbrier County near Lewisburg, West Farm is a family-owned business known for growing flowers and herbs, strawberries, tomatoes, seasonal produce and lamb for florists, farmers markets and local restaurants. Offering over 120 different flowers in bloom through the seasons, Pam West can design and supply lovely arrangements for your wedding. A mother and daughter team is behind Yellow Daisy Design, an Amery-based wedding florist. Erica and Natalee tend to focus on using botanicals from local flower farms whenever possible. As Wisconsin natives, the team is inspired by the natural beauty of the countryside which is why they add wild elegance into her wedding designs. Wow, The flowers look nice and the way they are used for Weddings added the Beauty to them.